The Enchanted Garden of Talwandi is based on a janam saakhi (fable of childhood) of Guru Nanak Sahib, founder of the Sikh religion. The janam saakhies are part of the folklore that celebrates Guru Ji's divine presence and message. Parents often relate these stories to young children to foster love for Guru Ji, and teach morals and values. Guru Nanak Sahib was born on April 15th, 1469 in a village called Talwandi, now known as Nankana Sahib. Those were dark times in India. People were considered superior or inferior based on the caste in which they were born. Women were not respected. They were not allowed to worship in temples, or given equal opportunities in life. Guru ji preached that there was one God. He said that we were all equal regardless of our gender, faith, color, or race. We must respect each other, live honestly, and treat each other fairly. We must share with the needy, and always remember God lovingly. Ek Ong Kar means there is one Creator manifested in the entire Universe. The word Waheguru is a combination of two words - Wahe and Guru. Wahe expresses wonder (Wow); Guru means one who leads us from darkness to light. Waheguru is the word Sikhs most commonly use to refer to God. The Enchanted Garden is a charming and delightful book ; it opens up possibility for both children and adults to pause and rethink how we want relate to one another in the world. 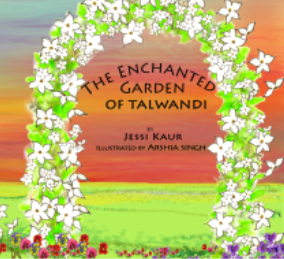 The Enchanted Garden by Jessi Kaur is a children’s book that invites both adults and children into a familiar and comforting janam sakhi , childhood fable. 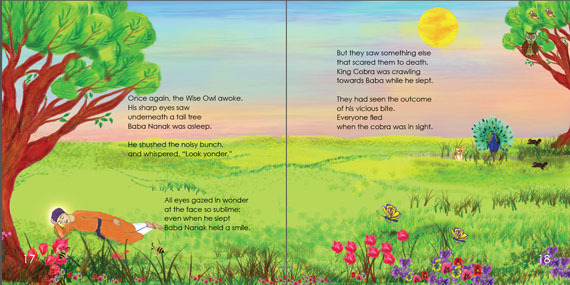 The tale tells the story of the cobra sheltering Guru Nanak Dev Ji in the hot sun as the Guru takes a nap in a field. Kaur has revived this janam sakhi by creating a contemporary garden full of life as the setting for Guru Nanak’s encounter with the cobra. The garden is bustling with life, a web of relationships amongst animals, birds, plants, and flowers, and the oh-so familiar relationship dynamics that bubble up in society when we lose sight of the bigger picture. It is an inviting, energetic Shangri-la layered with natural beauty. Kaur has depicted a garden thick with diversity in animal and plant life, which mirrors our global communities today and drives home the importance of having respect for diversity in our local communities. The Enchanted Garden also celebrates Guru Nanak Dev Ji’s emotionally abundant spirit that reminds the reader there is more than enough love and attention for all the animals, plants, and flowers connected to Wahe Guru. And when we as adults and children can see the Divine Light in all living creatures and people, we become more energized and connected to the world around us. This take away message of emotional and spiritual abundance is an important one for children to understand and feel. And the brilliance lies in the shift away from abundance in material goods to abundance in love, trust, and respect. Kaur has written the story in four line stanzas that rhyme. The word choices are fun and adventurous for emerging and established readers. 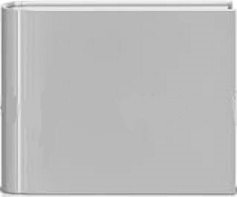 It reads like a Dr. Seuss book and has the deeper messaging of the Guru Granth Sahib, the Sikh scriptures. Coupled with the vibrant imagery and illustrations, The Enchanted Garden becomes a place that welcomes back readers again and again. The book has the promise of leaving the reader in a peaceful and hopeful place. The Sikh girl in me yearned for a book like this in childhood. I am grateful my children will have a copy. It will give me a chance to curl up with it at night too! Talwandi is a village in pre-partition Punjab where Guru Nanak, the founder of the Sikh religion, was born in 1469. Jessi Kaur’s The Enchanted Garden of Talwandi innovatively maps this historic and geographic space on an imaginary horizon that children would devour so eagerly! But parents are equally alike to enjoy Jessi ‘s modern visual and sonorous rendition of the traditional narratives of Baba Nanak (Janamsakhis as they are called). Like her previous books – Dear Takuya and The Royal Falcon — this too embodies western literary icons and idioms, and opens the world of Sikhism to a global readership. Jessi’s playful characters awaken readers to the richness and magic of love that permeates our universe. Their profoundly simple and breathtakingly delightful discourse evokes an intimate feel for the presence of the Sikh Guru and his egalitarian message. Seeing and/or hearing them inspires the aesthetic mood of vismad (wonder or enchantment) intrinsic to Sikh life. Jessi’s ingenious rhymes continue to echo long after the book is put away. Indeed The Enchanting Garden of Talwandi plants the seeds of future love and beauty in the readers’ imagination. It should foster an enduring bond and shared pleasure between young and old, eastern and western, Sikh and Christian. --Meeta Kaur – Award winning writer. Jessi Kaur is the author of two highly acclaimed children’s books: Dear Takuya, and The Royal Falcon. Jessi has traveled extensively sharing the message of Sikh Gurus in international Sikh youth camps and inter-faith conferences. She has a deep conviction that peace is possible when the barriers of ignorance are brought down, and we open our hearts to those who are different from us. Jessi taught English Literature at a Delhi University college before moving to California where she is a Human Resources Consultant in the Silicon Valley. Visit her website at www.jessikaur.com. college, Arshia is currently working as a caricature artist in a premier theme park. She makes her debut as an illustrator for children’s books in The Enchanted Garden of Talwandi. Her playful, bold, and vivid images are sure to enchant the child in all of us. The Enchanted Garden of Talwandi to as many teachers, libraries and friends as you can! and contact information, without any extra charge. Copyright 2013 Gage Associates All Right Reserved.